David’s Black Dog series is perhaps the most iconic and highly collected of all of his series. Although these works are highly sort after, they are few and far between, and it’s with good reason once you understand the process behind their creation. The iconic black dog that you see in many of David’s works depicts Bogart, his childhood pet. Bogart was a true companion and close friend to David throughout his youth – smart, watchful, protective and ever present, Bogart lives on as the feature character of this sensational series. The process of this particular painting involved months of layering an enormous amount of paint to the point that the frame it is stretched on can barely support itself. 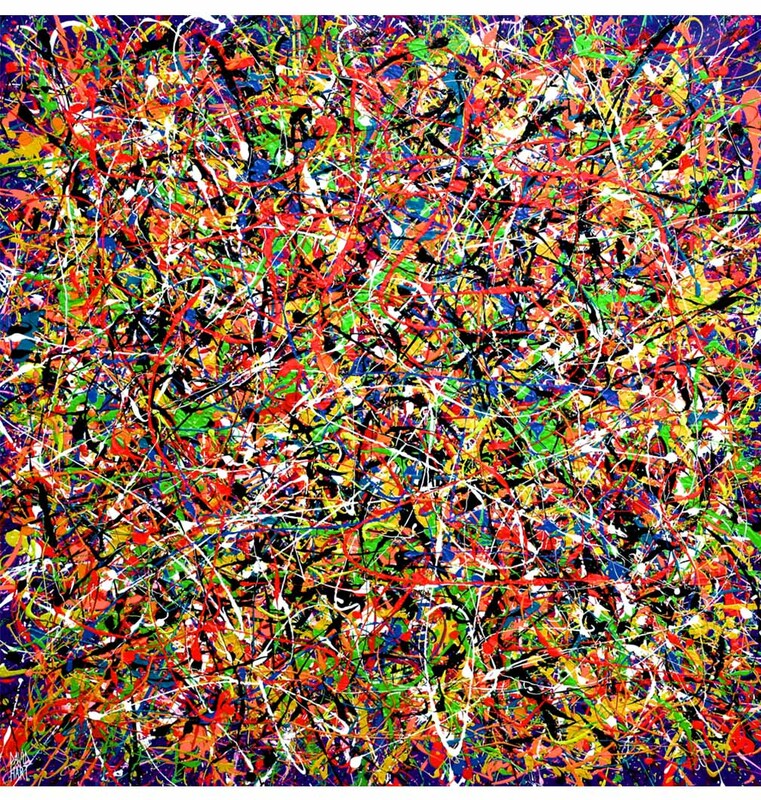 The technique was inspired by one of David's heroes in the art world, Jackson Pollock; bringing the work to life by embellishing the artwork using enamel. In the final stages after drying, several small black dogs are cleverly and randomly scattered amongst the folds and drizzles of paint. This allowed the viewer to become actively involved in their visual experience as they searched for each dog. David’s Black Dog paintings are intentionally random, expressive, and purposeful. The Black Dog concept has become hugely successful with collectors, however, due to their thick oil paint and lengthy creation process, there are generally only 4 to 6 of these pieces available per year.